The planting tips will guide you about the things you should do for your garden in Autumn. In Sydney Autumn has started. 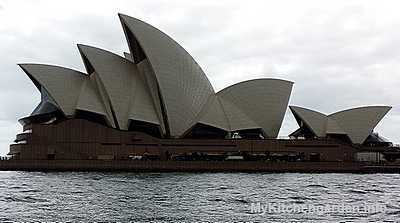 Sydney is in Temperate Zone. Cities in temperate regions have four seasons: summer, autumn, winter and spring. A temperate climate is basically one that doesn't have extremes in temperature, but can have very unpredictable weather. The summer and winter days are unusual; one day it may be cloudy, the next may be sunny, and after that it may be rainy. Several countries exist within the temperate zone. North America, South America, Northern Mexico, Great Britain, Northern Asia, Southern Australia, New Zealand and South Africa are all considered to be within the temperate zone. Some of the cities in temperate region are Sydney, Melbourne, Canberra, London, Paris, Hamilton, Christchurch, Wellington, Seattle, Edinburgh, Frankfurt, Vancouver, etc. Autumn is an ideal time for planting many vegetables, flowering plants and trees. Although Autumn plants do not show immediate results, but it is the season when plants establish their root systems. The garden efforts done in Autumn will reward you when spring arrives with healthy, well established plants that are ready to create a display of colour. Take out all the tomato, cucumber and other summer plants that have finished their crop and died. Remove all dead flower heads on perennial plants. Shape and thin the plants that have over-grown during summer. Fertilise native plants with Blood and Bone. Fertilize and water your lawn. Collect fallen autumn leaves for composting. Soil Preparation: Cultivate soil well by adding plenty of organic matter like compost and cow manure. Can add some dolomite, bone and blood fertilizer in the top soil. Plant bulbs by the end of April in soil mixed with compost and bulb fertilizer. Water the soil the night before planting and don't water again until you see the shoots appear.